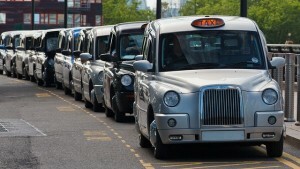 Park Insurance > Blog > Commercial > Can Taxi Insurance deals help firms compete with Uber? Don’t just use the same insurance firm you always used. Just as shopping around can help make significant savings for private drivers, the same applies to business insurance. Uber has transformed the way we think about calling a cab. Like ordering a takeaway or shopping for clothes, we live our lives by our smartphone and quite naturally we now expect to be able to use it to order a cab and pay for it without the need for cash. As well as bringing convenience, Uber has also slashed the cost of a ride; so no wonder it’s proved such a hit with customers and a major headache for licensed taxi companies. So can taxis compete with Uber? Absolutely. One of the biggest pulls of Uber is the low cost – after all, who doesn’t like a bargain? Make sure your taxi service stays competitively priced without taking a bit hit on your profits, or use the money you save to invest in similar technology, by doing everything you can to reduce your outgoings. One area where you could make significant savings is your insurance. That doesn’t mean cutting back on cover and exposing yourself to risks, it means taking a methodical approach to identifying what you need and finding a tailor-made package that suits your specific situation. Skimping on insurance cover might save you a few pennies in the short term, but could cost you your business if something does go wrong. Make sure you get complete coverage that includes legal fees, breakdown cover, loss of earnings and personal accident insurance, as well as commercial vehicle insurance for either private or public hire use. Did you know that, depending on which provider you insure with, you could reduce your excess if you report accidents within 24 hours? That’s because the sooner they start working on a claim the more they can keep costs, such as loss of earnings, down. If you have an in-car camera or dash cam, tell your insurance provider. If you don’t have one, get one fitted. They can provide valuable evidence in the event of an accident, help protect you from cash-for-crash scams and will also help to reduce your premiums. Don’t just use the same insurance firm you always used. Just as shopping around can help make significant savings for private drivers, the same applies to business insurance. Look out for special offers, freebies and special packages designed specifically for taxi companies and drivers. Remember, just because you got a great deal from a provider last year that doesn’t mean your renewal will be the best price, so go through the same process every year. And also watch out for the excess. Insurance companies have a habit of hiking up excesses to keep premiums down. Unfortunately, most price comparison websites don’t offer commercial cover, but the savings you can make mean that shopping around is absolutely worth it. You can shop around for the best price yourself or you could use a broker to do the running around for you whilst you concentrate on staying on the road, earning money. A good broker should be able to ensure you get the best price possible without accepting sky-high excesses in the event of an accident. And if you use a ‘preferred broker’ with specialist taxi industry knowledge and contacts you’ll benefit from them knowing straight where to go for the best deals without any compromise on cover. At Park Insurance, we have the contacts and the influence within the industry to seek out the best deals for our customers. As well as getting you a great deal, if you do make a claim we can help cut out the hassle and get you back on the road faster with our 1-2-1 service, where you’ll deal with one handler, which helps keep the response time for any claim down. Call us now on 0117 955 6835 or get in touch today to find out more how we can secure great value, hassle-free cover so you can maintain your competitive edge.